Northern Water, a leading organization in the delivery, conservation, and management of water, is seeking a Natural Resources Specialist. This position, located in Berthoud, CO, requires a natural resources-related degree and a minimum of 5 years’ experience. A strong knowledge of watershed management and protection, with an emphasis in forestry, is preferred. For a full job description go to www.Northernwater.org. To apply for this position, submit resume to careers@northernwater.org. Boulder County Open Space & Mountain Parks Trails Stewardship Team has posted an opening for a Program Lead. Under general supervision to implement, evaluate, and assist with the development of the Trail Stewardship plans, policies, projects, and management practices at a professional level, consistent with department goals and within a department-wide context that supports all chartered land uses and open space purposes; primarily to deliver professional project design and field work. Deadline to apply October 15th, 2017. You can find the job description and information on how to apply at: www.governmentjobs.com. Hands-On Labs, Inc. (HOL) is seeking a Science Laboratory Curriculum & Product Developer. This person develops laboratory experiences, curricula, and products that support the academic requirements of secondary and post-secondary science courses. This individual designs, develops, enriches, and supports all sales and production facets of the experiments contained in HOL products, called s, which provide wet science lab experiences in support of educational institutions’ science courses, primarly online science courses. This position works collaboratively within a team of science colleagues, clients, and HOL’s Sales, Production, and Documentation teams to develop, write, produce, and confirm challenging and effective science experiments that engage students, meet traditional academic learning objectives, and can be safely and successfully conducted at home. Please submit resume to Rick Carmichael, rick.carmichael@holscience.com. Applicants MUST have a science degree. MS or PhD preferred. 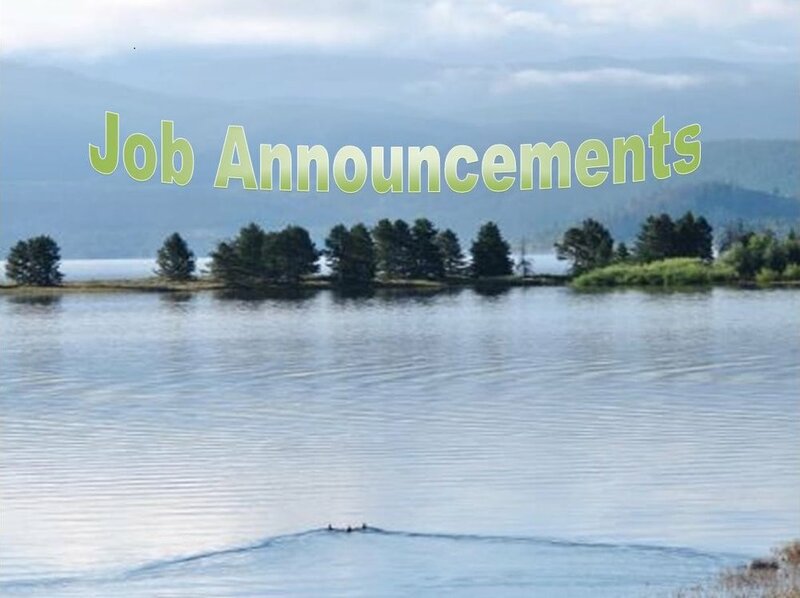 The Mountain Area Land Trust (MALT), an accredited land trust, in Evergreen, CO has an opening for a part-time (24 hours) Land and Water Conservation Director. Please find the complete job description, duties and details on how to apply at, http://www.savetheland.org/job-opportunities. Metro to Mountain Native Plant Master Program is Seeking Volunteer Educators. Are you interested in native plants? Would you like to share your knowledge with others? The Metro to Mountain Native Plant Master® Program is seeking volunteer educators who have a passion for educating others about native plants. Both experts and those with more intermediate knowledge are encouraged to apply. There is a comprehensive training program and in depth resources so volunteers are fully equipped to begin their teaching role in 2018. For more information click HERE.